Dezeen promotion: Beijing Design Week is returning to the Chinese capital this month to present design, art and creativity from across the country (+ slideshow). 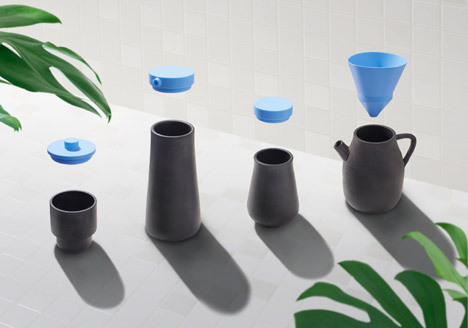 Now in its fifth edition, the annual event will see a series of exhibitions, lectures and design markets take place around the city from 23 September to 7 October 2015. The Design Hop programme will return for 2015 – hosting a series of exhibitions, installations, pop-ups, workshops, seminars and lectures. Design Hop will take place in multiple locations across the city, including the creative quarters of 751 D Park, historic Dashilar hutong district and three new locations. Each area will be thematically focused on subjects from the future of housing and digital ecosystems to the impact of emerging technology. 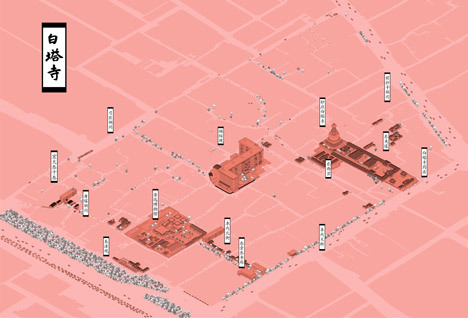 Dashilar is located within Beijing's old city, and the events taking place there aim to be "examples of new strategies for urban revitalisation in China's historic districts". A wide range of locally-based architecture studios have created installations centred around updating traditional courtyard houses. The historical preservation zone of Baitasi is a new area for 2015, and will be split into four "hubs" that each have a different purpose and "serve as points for experiencing and rediscovering the cultural richness of the area". Info Hub will provide visitors with information about the area through the form of an exhibition and a series of commissioned projects, while Making Hub will provide workshops, mentoring camps and a conference. Sales Hub will act as a space where designers can meet with potential buyers, and a series of activities focused on providing visitors with historical knowledge about the area will take place at the Reading Hub. Every year, a guest city or country from outside of China is chosen to present a selection of arts and culture from its region. Dubai is the location in focus for 2015, and will present a series of exhibitions, conferences and other activities throughout the week. 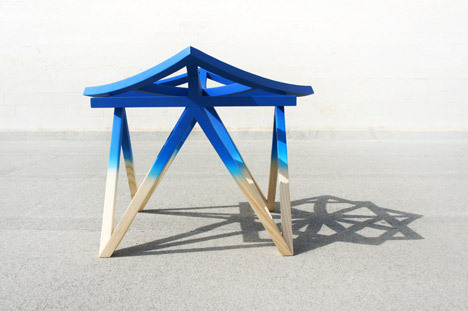 Beijing Design Week takes place from 23 September to 7 October 2015. Visit the event website for more information and to register for tickets. Beijing Design Week returns every year at the end of September and throughout the October national holiday with a unique series of initiatives as the largest design event in China. DESIGN HOP is a citywide program of exhibitions, installations, pop-ups, workshops, seminars, and lectures that activates a contextualised dialogue between key areas of the Chinese capital and creative initiatives envisioning new meanings for the public role of design in generating a contemporary urbanity. Three new areas are introduced this year – Baitasi, Indigo and Parkview Green, adding to six existing areas – Dashilar, Dongcheng District Hub, 751 D-Park, Beijing Institute of Fashion and Technology Park, China Millennium Monument and Gehua Tower. Creative Director Beatrice Leanza said: "This year's Design Hop places an emphasis on collaborative ventures and communal engagement with an interest in projects supplying new services, spaces and offerings inspired by the city, thus reinforcing BJDW positioning as an experiential platform through which a diversified range and scale of design operations are activated via public fruition." 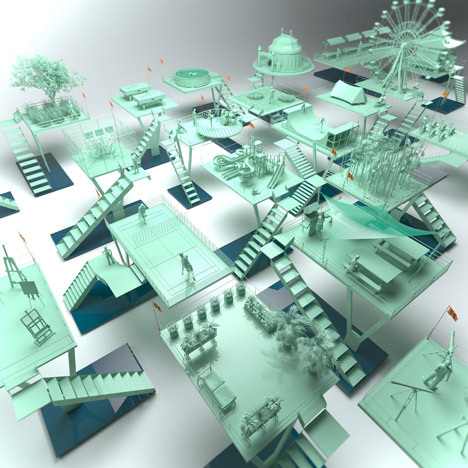 "Each area features a thematically driven core of projects made resonant across its spatial and infrastructural givens. From the future of housing and digital ecosystems, urban acupuncture and crafted architecture, to the impact of emerging technology on fast changing urban demographics and lifestyles. Design Hop is an incubator that explores the widening economic and cultural implications of what Design for China means today and tomorrow." Located at the southwest of Tiananmen Square near Qianmen Gate, Dashilar is a special zone within Beijing's old city. Beijing Dashilar Investment Ltd has been tasked with the special responsibility of preserving and promoting the tangible and intangible aspects of Dashilar's culture. 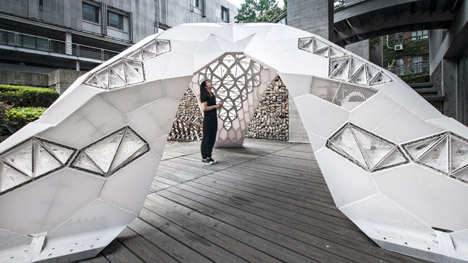 The process began in 2011 with the launch of Dashilar Project, Dashilar Platform, and the collaboration with Beijing Design Week, working together with urban planners, cultural and historical preservationists, architects, artists and designers, and sharing these skill-sets with local residents and businesses. Dashilar became an exemplar of new strategies for urban revitalisation in China's historic districts. 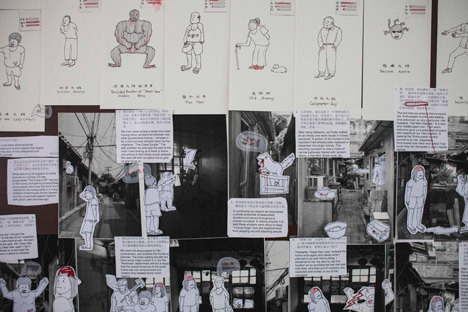 Zayuan 2.0 is a series of site-specific commissions part of the long term program Dashilar Pilots begun in 2013 – addresses architecture and the built environment by examining and re-envisioning the typical zayuan. 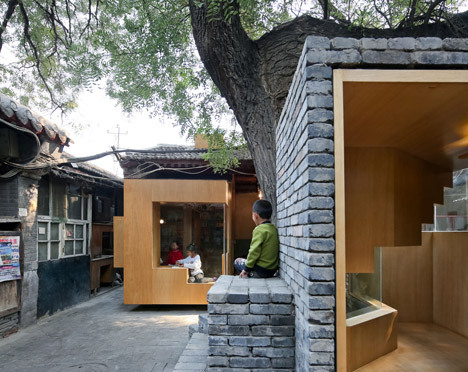 Installations include a wide roster of locally based architecture studios and a new breed of practices and individual designers active in China: URBANUS, BaO Architects, WAI Think Tank, Studio Ramoprimo, Instant Hutong, Dot Architects, among others. Exhibitions, pop-ups and a wide series of forums and workshops by international participants will complement this year's thematic strand with projects including The Nuturing House by Next City Living Lab of Dutch collaborations featuring MVRDV, UNStudio, VenhoevenCS, Powerhouse Company, MORE architects, and more. Made possible by the support of Beijing Hurong Jinying Investment & Development, Baitasi (In Chinese – The White Stupa Temple) is a cultural and historical preservation zone located across the Financial Street District on the west second ring. 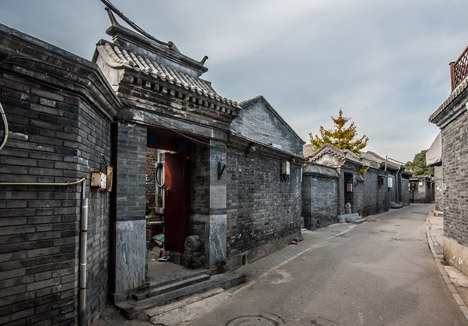 A traditional hutong area covering 37 hectares, Baitasi presents itself as a cultural enclave among newly developed business areas. In this old neighbourhood of mostly residential housing, an alternative approach to urban upgrading and community regeneration is explored via conceptual and pragmatic propositions as part of BJDW 2015. Baitasi Remade will be presented under the framework of 4 different Service Hubs – Info Hub, Sales Hub, Making Hub and Reading Hub – they will serve as departure points for experiencing and rediscovering the cultural richness of the area, and each intended to generate new imaginaries for the area's future living environment. Info Hub – an overview exhibition and a series of commissioned projects to share information about the area for the first time. This includes a temporary school program organised by the London AA Visiting School with space design by People's Architecture Office. Making Hub – the core exhibition titled Our Community developed by Moujiti Studio comprises smart products showcases, workshops, mentorship camps and a conference realised with the exclusive support of innovation platform Seeed Studio from Shenzhen. 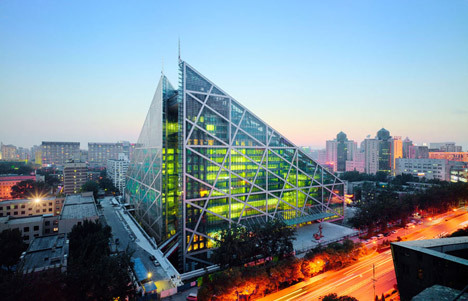 Sales Hub – a space designed by Beijing's Studio O which will serve as a meeting place for local developer and interested counterparts. Reading Hub – housed in the Hybrid Courtyard designed by Vector Architects, will host activities remindful of the literary background Baitasi has historically been known. Other activities take place across the district, including a free communal Chinese medicine clinic designed by Geraldine Lo, a public plaza designed by SPARK architects and a public furniture installation by BaO Architecture; Talks and forums tackling research on the area include focuses on its aging community by CAFA and the Danish Cultural Centre, and last but not least the ReMade Forum with the contribution of the UK’s V&A Museum. Beijing Design Week has over the past four years sought to shape a critical arena and empower a positioning for design in the cultural, economic and social-scapes of contemporary China. BJDW has become an active mediator in establishing cooperative frameworks among private and public stakeholders both locally and internationally, investing in the enquiring capacity of design to assess common goals and localised solutions for the future of urban China. With yearlong operations in and out of the PRC, BJDW has come to define new scopes for its weeklong programming and its institutional role in sustaining long-term initiatives, as well as enforcing contextualised perspectives produced at the crossroads of formal and grassroots strategies of engagement. BJDW remains a unique observatory – of discovery, dialogue and productive challenge – making China Based professionals and emerging talents the protagonists. 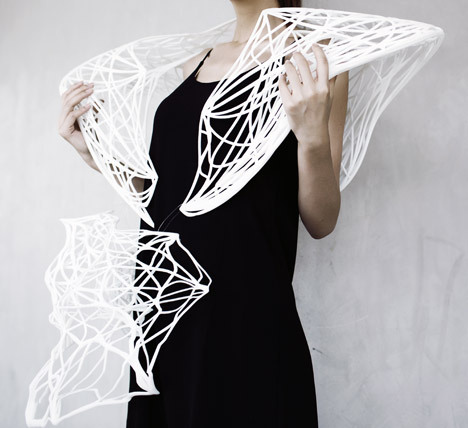 Launched with a pilot effort in 2009, Beijing Design Week is co-hosted by the Beijing Municipal Government, the Ministry of Culture, the Ministry of Education, the Ministry of Science and Technology, to nurture a culture of design in the Chinese context. With seven key sections – Design Service, Design Award, Design Night, Design Trade, Guest City, Smart City, and Design Hop – BJDW features hundreds of international exhibitions, public events and trading platforms as the leading design event in the PRC. While offering an expansive overview of China's transforming design landscape, it serves as a laboratory for innovative perspectives that, from industry to academia, inspire and shape contemporary design discourse and practice. 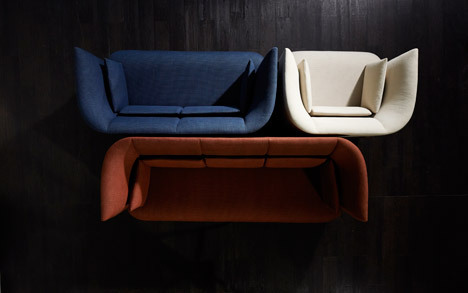 The post Beijing Design Week 2015 to showcase contemporary Chinese design appeared first on Dezeen.